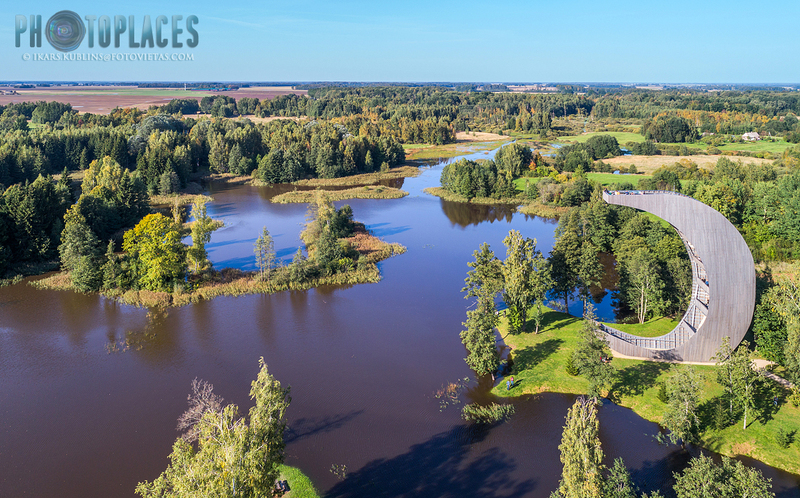 Kirkiliai karst lakes are unique nature area in Baltic states. 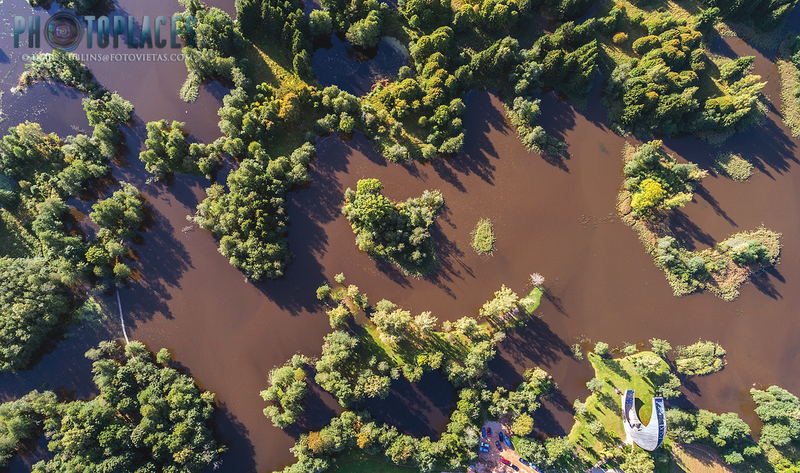 Here many sinkholes have flooded with underground waters and made small lakes which have united together. The region is rich with sinkholes but exactly in this place their concentration has reached "the tipping point" to form such a larger lakes. It's estimated that here are more than 200 sinkholes on square kilometer - that really makes to think about whether the next step you take won't be a sudden fall into the abyss! Interestingly enough, that this place is one of just two habitats in Europe where green sulphur bacteria and purple sulphur bacteria are present, the second one is in Italy. Near lake an observation tower in the form of Moon have been built (Lithuanians know how to make attractive observation tower designs which becomes an interesting landmarks themselves). The tower has not only interesting design but also very stable and durable material (steel frame) so even people who are afraid of height can comfortaby reach the top platform. How karst lakes are formed? As Wikipedia says, karst lakes are formed as the result of a collapse of subterranean caves, especially in water-soluble rocks such as limestone, gypsum and dolomite. This process is known as karstification. They can cover areas of several 100 square kilometres. Their shallow lakebed is usually an insoluble layer of sediment so that water is impounded, leading to the formation of lakes. 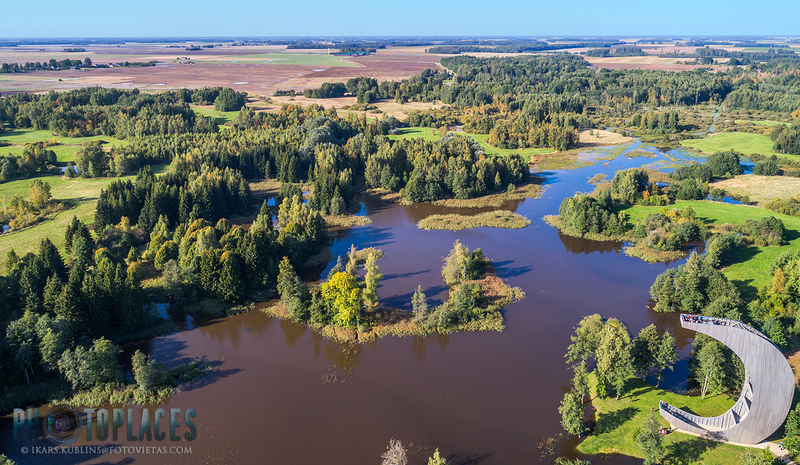 Many karst lakes only exist periodically, but return regularly after heavy rainfall.